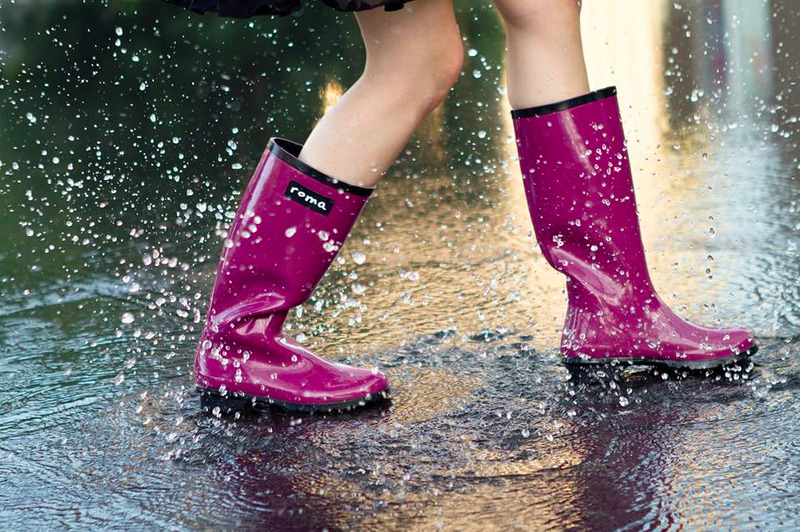 When it comes to rain boots...supple, chic Roma Boots are THE way to go. These rubber beauties are not only resilient to inclement weather, but are playful, colorful and wonderfully mod. Offering an array of styles and hues to choose from, Roma boots are cornering the market! Roma Boots were conceived by Romanian born Samuel Bistrian, who grew up in the remote village of Benesti, and had experienced poverty firsthand in the still communist ruled country. Though having moved to the states when he was 8, he returned to Romania in 2001, and though communism no longer remained, poverty did. He witnessed children in the streets lacking proper shoes, or no footwear at all. After college, Bistrian took a job with Neiman Marcus and in 2009 met Blake Mycoskie, founder of TOMS Shoes. Bistrian was truly inspired by his story, and a year later Samuel decided to take his experience in retail fashion and meld it with his altruistic efforts - with the help of family and friends, Roma Boots was born. With a mission to help eradicate poverty, Roma aspires to directly serve street children and orphans. Working on a "buy one, give one" model: for every pair of boots sold, a new pair are donated to a child in need. In addition to the protective galoshes, the boots are filled to the brim with educational supplies. Fantastic! Expanding the effort: 10% of all sales go to the Roma For All Foundation, created with an aim to help educate these children to break the cycle of poverty.